Damn it Was a Busy Weekend. We came really Close to Ordering Grits and Eggs with our Dear Friend on Saturday Afternoon, but Alas the Greasy Spoon was all Out. Oh Well. Before we Get to the Gigs, we Should Let you know About a Very Cool friend of Ours, GREG MR. BASSIE JACKSSON. Hes been Crazy Busy and just sent us This Review for an Album he Worked on: http://www.kolumbus.fi/soulexpr/broussard.htm . Pay close Attention to the review of the Bass Parts. This cat is One of the Best. Our friends, MANDALA (http://www.withinMandala.com) have Got something special Featuring BREADFOOT (http://www.breadfoot.com) among Others. This all happens tomorrow, An Evening At The Comedy with: Black Car, Breadfoot, Mandala, and Revere. Just go to 7 Oxendon Street, London, SW1 via the Underground: Leicester Square or Piccadilly Circus, or the Overground: Charing Cross. Doors Open Eight Oclock. 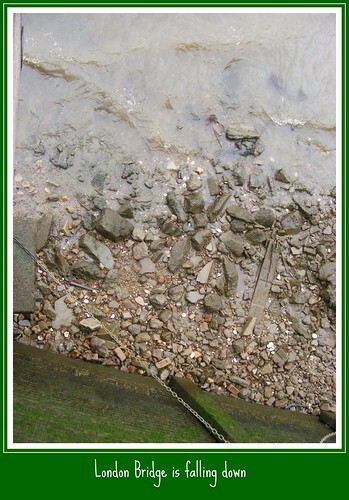 Admission: £5 (thats Pound for You Yanks). SongKrAn (the Artist Formerly Known as Bishop, a Great friend of Ours who Still Doesnt have a Web Site but He has a Few Fans Here and in FLA) will be at the Apocalypse Lounge On Thursday the 7th at 8:00pm. Itll be worth it. Oh Yea, Hes opening up for Bobby Steel, one of the original members of The Misfits. Cool! There is No cover and as always $ 3 Rheingolds if You Like that sort of Thing. The address is 189 E.3rd St (between Avenues A and B). And The Gig of The Week (There are Always So damn Many but you Can go to Both Ya Know. ), Concert For Jason Crigler (http://jasoncrigler.com/) October 7th, 2004 ~ 8pm at THE LIVING ROOM (http://www.livingroomny.com). Cynthia Hopkins of GLORIA DELUXE (http://www.gloriadeluxe.com), Along with JENIFER JACKSSON (http://www.jeniferjackson.com), and Probably a Bunch of Others (Dennis Brennan Marshall Crenshaw RACHEL LOSHAK (http://www.rachelloshak.com , Yes THAT Rachel Loshak, the One with the Lilting Ethereal Voice and Lyrics) Juliana Nash, and Teddy Thompson) will sing and play on some songs. Itll be a great night of music as well as an opportunity to support a talented artist in a time of crisis. Minimum Suggested Ticket Price $ 20. All Proceeds From This Concert Will Go Directly To Jason And His Family. To Purchase Tickets And Make Donations Go To Http://Www.Bossycat.Com/Jason . Jason Crigler has come to be known as one of the most sought after guitarists in New York City. He has played with such renowned performers as Linda Thompson, Erin McKeown, Norah Jones, John Cale, Dennis Brennan, Marshall Crenshaw, Chris Brown and Kate Fenner, Alice Bierhorst, Edison Woods, Teddy Thompson, Sandy Bell, Adam Levy, Paul Bryan, Juliana Nash, to name but just a few. Everyone that has ever had the pleasure of playing with Jason will know how special he can make it feel, and what a magical cast he helps to create within all the music he plays. Jason is on his way along an inevitable upward musical path, but has been interrupted this last month, when on August 4th he suffered a bleeding in his brain that has caused him to be hospitalized. Jason remains in the hospital at this time, and will need to be there for some time to come. This concert is an opportunity to give back to Jason all that he has given to us from his heart. We all need him terribly as a part of our musical selves, and now he needs us to help him get through this extraordinarily difficult time in his life. 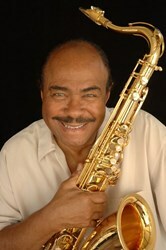 Soka Performing Arts Center invites you to its Jazz Monsters Benny Golson Tribute, which will take place on Saturday, February 1, 2014 at 3 p.m. and 8 p.m. Tickets can be purchased online at performingarts.soka.edu or by calling 949-480-4278. Prices range from $ 21 for students and seniors (62+) to $ 28. Benny Golson TributePart 1 at 3 p.m features Grammy-nominated singer and pianist KARRIN ALLYSON. Audience members and critics alike are marveling at the range of this extraordinary musician. The Houston Press praises, “If there’s a choir in heaven, someday the exquisite vocalist Karrin Allyson will lead it. She’s such an otherworldly talent that the creator probably already has her on heavy rotation. Joining Allyson will be PETER SPRAGUE, DUNCAN MOORE and HAMILTON PRICE. Sprague is a critically acclaimed American jazz guitarist, composer, musical arranger and musical transcriber, sound recording engineer, and music producer from North San Diego County. Moore is a San Diego based drummer and percussionist. Price plays double bass, upright bass, contrabass, string bass, doghouse bass, bass viol and bass fiddle, and has recently performed with Kenny Werner and Geoffrey Keezer. Following that quartet will be the KENNY BARRON TRIO with KENNY BARRON, BUSTER WILLIAMS and ROY MCCURDY. Barron is a pianist, composer and arranger whose unmatched ability to mesmerize audiences with his elegant playing, sensitive melodies and infectious rhythms is what inspired The Los Angeles Times to name him one of the top jazz pianists in the world and Jazz Weekly to call him the most lyrical piano player of our time. Williams is a prodigious artist whose playing knows no limits. Raised and rigorously trained by his father, a bassist, Buster is best known since the 1980s for his solid, dark tone and highly refined technique on the acoustic bass. Drummer McCurdy will probably always be best-known for his important contributions to Cannonball Adderleys Quintet (1965-1975), but he has been a tasteful and stimulating participant in many other sessions through the years. He is currently Adjunct Professor of Jazz Studies at USC Thornton School of Music. Benny Golson TributePart 2 at 8 p.m. features two legendary jazz musicians. One of jazzs most valuable sidemen BUSTER WILLIAMS, who also plays in Part 1, reflects, Ive served my apprenticeship under many great masters and feel that it’s my honor and privilege to carry on the lineage that makes this music such an artistically rich art form. BENNIE MAUPIN is a Detroit, Michigan jazz multireedist who performs on various saxophones, flute, and bass clarinet. He is noted for having a harmonically-advanced improvisation style, while having a different sense of melodic direction than other jazz musicians in this genre. As a composer, he has an ability to create brief melodies and song forms that create vast landscapes for improvisation. Closing the performance will be the star of the evening, the multitalented and internationally famous jazz legend, composer, arranger, lyricist, producer and tenor saxophonist of world note, BENNY GOLSON. Benny is the only living jazz artist to have written eight standards for jazz repertoire. These jazz standards have found their way into countless recordings internationally over the years and are still being recorded. A performer who consistently knocks audiences off their feet, Benny has given hundreds of performances in the USA, Europe, South America, the Far East and Japan for decades. Joining Golson onstage will be KENNY BARRON, BUSTER WILLIAMS, and ROY MCCURDY. For more details and ticket information, see http://www.performingarts.soka.edu. The 1000-seat Soka Performing Arts Center is located at 1 University Drive, Aliso Viejo on the campus of Soka University, a private, non-profit, four-year liberal arts college and graduate program. SUA offers a 9:1 student/faculty ratio and an average class size of 12. The campus was rated in the Top 50 National Liberal Arts Colleges in US News and World Reports Best Colleges 2014. All undergraduate students participate in a semester of study abroad during their junior year which is included in the tuition. Free tuition is available to eligible admitted students whose annual earned family income is $ 60,000 or less. The university is open to top students of all nationalities and beliefs and was founded upon the Buddhist principles of peace, human rights and the sanctity of life. About 60% of SUAs students come from the US and 40% have come from 40 other countries. For more information: http://www.soka.edu. "When a scab comes down the street, men turn their backs, angels weep in heaven, and the Devil shuts the gates of Hell to keep him out. … Judas Iscariot was a gentleman compared to a scab. For betraying his master, he had character enough to hang himself. 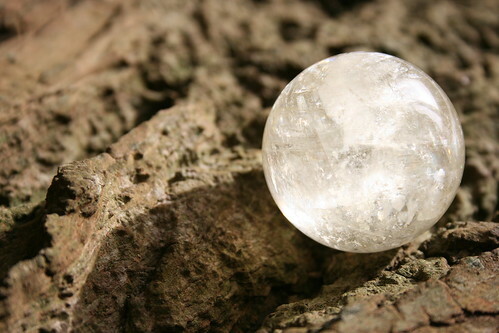 A scab has not." — Jack London. This picture, touched up, is available on products from posters, cards, postcards, postage stamps, to coffee mugs, stickers, magnets, pins, keychains, mousepads, aprons, and carrying bags found HERE. "REMEMBER LUDLOW" the battle cry of the crushed, downtrodden, despised miners stifled at Calumet, in West Virginia, in Cripple Creek, has echoed from coal camp to coal camp in southern Colorado, and has served again to notify the world that Labor will not down. Peaceful Colorado, slumbering in her eternal sunshine, has been rudely awakened. And her comfortable citizens, tremendously busy with their infinitely important little affairs, have been shocked into a mental state wavering between terror and hysteria. And the terrified and hysterical community, like the individual, has grabbed for safety at the nearest straw. The federal troops are called to the strike zone in the vain hope that their presence would intimidate the striking miners into submission, and the first spasm of the acute attack has subsided. But the end is not yet. In September the coal miners in the southern Colorado district went out on strike. Immediately the word went forth from No. 26 Broadway, the Rockefeller headquarters in New York City, and the thugs and the gunmen of the Felts-Baldwin agency were shipped from the Virginia and Texas fields and sent by the hundreds, into the coal camps. With their wives and children the miners were evicted from their huts on the company’s ground, and just as the heavy winter of the mountains settled down, the strikers put up their tents and prepare for the long siege. It was then that the puerile, weak kneed Governor Ammons, fawning on the representatives of the coal companies, at the request of the Colorado Fuel and Iron Co., called out the militia to "keep order." And the climax came when the first spring winds blew over the hills and the snows melted from the mountain sides. On the 20th of April the cry was heard "Remember Ludlow! 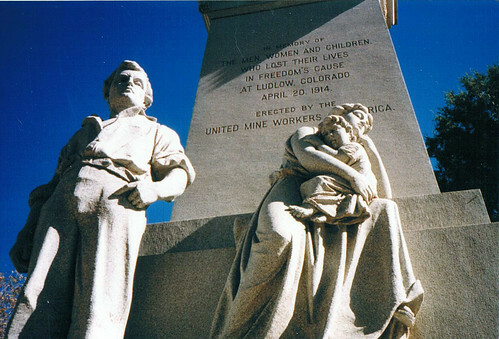 "—the battle cry that every workingman in Colorado and in America will not forget. For on that day the men of the tent colony were shot in the back by soft-nosed bullets, and their women and children were offered in burning sacrifice on the field of Ludlow. The militia had trained the machine guns on the miners’ tent colony. At a ball game on Sunday between two teams of strikers the militia interfered, preventing the game; the miners resented, and the militia—with a sneer and a laugh—fired the machine guns directly into the tents, knowing at the time that the strikers’ wives and children were in them. Charging the camp, they fired the two largest buildings—the strikers’ stores— and going from tent to tent, poured oil on the flimsy structures, setting fire to them. From the blazing tents rushed the women and children, only to be beaten back into the fire by the rain of bullets from the militia. The men rushed to the assistance of their families; and as they did so, they were dropped as the whirring messengers of death sped surely to the mark. Louis Tikas, leader of the Greek colony, fell a victim to the mine guards’ fiendishness, being first clubbed, then shot in the back while he was their prisoner. Fifty-two bullets riddled his body. Into the cellars—the pits of hell under the blazing tents—crept the women and children, less fearful of the smoke and flames than of the nameless horror of spitting bullets. One man counted the bodies of nine children, taken from one ashy pit, their tiny fingers burned away as they held to the edge in their struggle to escape. As the smoke ruins disclosed the charred and suffocated bodies of the victims of the holocaust, thugs in State uniform hacked at the lifeless forms, in some instances nearly cutting off heads and limbs to show their contempt for the strikers. Fifty-five women and children perished in the fire of the Ludlow tent colony. Relief parties carrying the Red Cross flag were driven back by the gunmen, and for twenty-four hours the bodies lay crisping in the ashes, while rescuers vainly tried to cross the firing line. And the Militiamen and gunmen when the miners petitioned "Czar Chase" and Governor Ammons for the right to erect their homes and live in them. for the first time in the history of the labor war in America the people are with the strikers—they glory in their success. The trainmen have refused to carry the militia—entire companies of the National Guard have mutinied—nearly every union in the State has offered funds and support of men and arms to the strikers—and the governor has asked for federal troops. The federal troops are here—the women who forced the governor to ask for them believe they have secured Peace—but it is a dead hope. For Peace can never be built on the foundation of Greed and Oppression. And the federal troops cannot change the system—only the strikers can do that. And though they may lay down their arms for a time—they will "Remember Ludlow!" Nice vid created from paint, Im just doing the lyrics part. Check him out at http://www.youtube.com/user/Paint. Q&A: Anyone else who plays good country rock? Question by Jody: Anyone else who plays good country rock? I’m really rockin to Brantley Gilbert. It’s great to hear those country lyrics laced with rock, are there any other artists who have rocked the country scene like Gilbert or Aldean?